Did your best friend finally pop the question to the girl of his dreams? Did he ask you to be the best man? Awesome – this is your time to shine. The best man is the life of the party as well as the voice of reason. You’ve been with your friend through thick and thin, and now, you just have to get him down the aisle. Before the big day comes, though, it’s your responsibility to throw a stellar stag party. This is your best friend’s chance to say goodbye to being single forever and to just have one amazing, unforgettable evening with his greatest friends. It’s kind of a big deal. But, planning a stag party doesn’t have to be stressful! Here’s everything you need to do to make sure your buddy has a great time. As the best man, you may think you know all of the groom’s closest friends. These are the people you both get together with all the time to do things like grab drinks, celebrate birthdays, and just hang out at each other’s homes. But, what about the friends he grew up with? Or the old roommates he had in college, or the ones he studied abroad with? Remember, a wedding is when people from all walks of life come together to celebrate the bride and groom. Make sure all of the groom’s special people are in attendance on his stag night. For those coming from out of town or whom he might not have spoken to in a while, make sure to give them the date and time as far in advance as possible. The better you plan ahead, the stronger your chances of having a big turnout for the stag party. Speaking of planning ahead, take the time to plan out the details of the night. The last thing you want is to have everyone show up and have no idea of where to go or what to do. Deciding on plans in such a scenario is more complicated than it needs to be with so many people. Not to mention, it will take away from actually enjoying the stag party! Stear clear of this stag night mistake by doing the following. First things first, you have to get everyone fed. This is the only way you’re all going to last through the night. Plus, it gives all the guys coming together a chance to catch up or get to know each other for the first time. Choose a spot that is centrally located to where you are all staying in town. Pro tip: send out hotel information ahead of time or get a space to rent together. This will allow the party to keep going and keep you from having to worry about everyone’s safety. Either way, make sure all the guys know where to be for dinner and at what time. Of course, make a reservation with your restaurant of choice! Get a few drinks to start the night at dinner. Make a toast if you’d like or just use it as a time for everyone to relax. The real stag party activities start once dinner ends. After dinner, make it a point to explore the town. Whether you’re throwing this party at a destination location or in the groom’s hometown, there are plenty of things to do. You just have to find them! Do your research beforehand on the bars and clubs in the area. Look for unique, one of a kind locations or see what kind of shows or events are going on. If there is something you think the group would enjoy, check with them before the night of the stag party. This allows you to get feedback on whether or not to go to that concert that looks interesting or to the bar that people are writing great reviews about. Do you and the fellas already have plenty of nights together going out drinking? It might be time to turn things up a notch for the stag party. Whatever you do, go all-out. Get VIP service or go to the best bar in town. 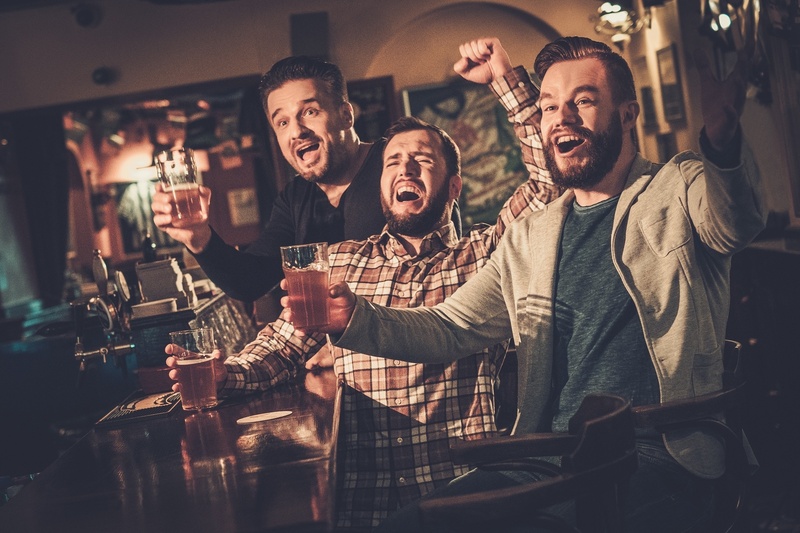 Maybe pull a classic stag night move like getting t-shirts to wear, playing games, or even having a special friend show up – which you can read more here about. Anything goes on a night like this, and the more creative you get, the better. It’s all fun and games until things hit the fan. Getting rowdy can easily turn into getting out of control, and it’s your job to be prepared in case anything happens. Before the night even begins, lay some ground rules. Avoid testing stranger’s tempers as you’re out and about, and make sure there is plenty of recovery food and fluids the morning after. You know, everything from Advil to water bottles to crackers and snacks should be ready to go. If you are turning the stag party into a stag weekend getaway, this is even more important. The proper preparation and recovery tactics from one night of drinking are what will keep you going the rest of the days and nights. Otherwise, you risk going all-out on the very first night and wasting the rest of the time together trying to recover. Lastly, make sure you have something planned in case a big emergency happens. You should at least have an idea of where the best hospital in town is. Try to keep an eye on all the guys as you’re out and about as well, to prevent anyone from needing a bail bond the next morning. From the moment you send out invites until the last drink is downed, the way a stag party goes is on you. The best man is both the party planner and the person that keeps the party going all night long, and neither are roles to take lightly. Use the tips above to plan the best night possible for everyone. But, how are you going to fund this event? With a little bit of passive income on the side! For more on how this money-making tool works, click here.